After news that the new Samsung flagship phone the Galaxy S5 would be shown to the world at the end of the month during the Unpacked event from Barcelona, it looks like the astute guys over at BGR have uncovered what looks like the specs for the new phone. 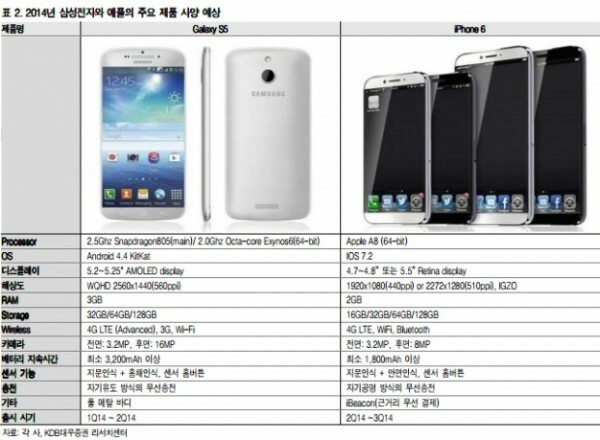 If these specs are indeed true to what they are going to have on the Galaxy S5, it could be a pretty nifty device. What do you think of the specs? 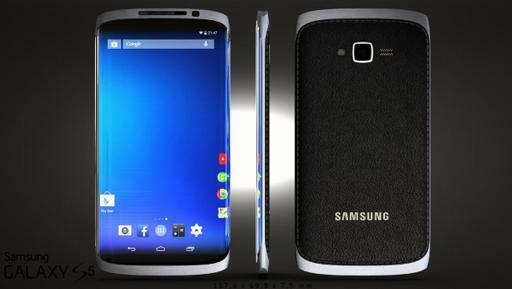 Will this be the phone of 2014 or will the next iteration of the iPhone be breathing heavily down its neck? Nothing is confirmed yet, and until it is, you can take things with a pinch of salt for now. EDIT: Slight tangent – The second last row on the iPhone 6 side indicates an iBeacon. The description (근거리 무선 결제) indicates a short range wireless payment mechanism. NFC perhaps?